Who did God create you to be? Many people can’t answer that question. Can you? 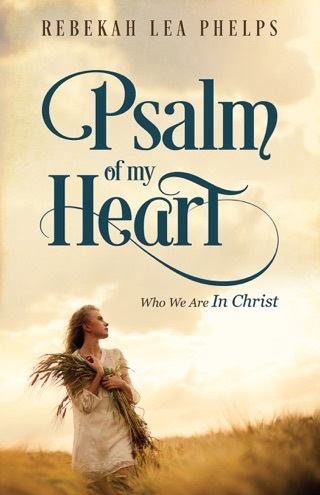 In this creative Christian parable written for women, author Rebekah Lea Phelps inspires you to discover and accept your gifts and talents in order to embrace ALL that God intends you to be. Meet Goldie—a most unusual field chick—and the whole cast of characters who live with her in the barnyard. Each animal represents the characters in our lives. Goldie is the wrong size. Her feathers are the wrong color. She would rather kill snakes than peck around in the dirt for grains. Goldie’s behavior has all the animals on the farm in a tizzy. At first Goldie feels displaced and unsure of herself. Why is she so different? Why can’t she fit in? But then courage and curiosity begin to churn inside her. Goldie begins to transform her life by facing her fears, inquiring about her roots and willing to deal with ridicule and self-doubt. 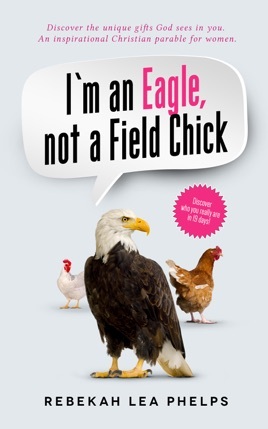 I’m an Eagle, not a Field Chick shows us how to forgive, move past our anger, and realize that our true character and greatest joys are often shaped by the darkest, most difficult times of our lives. An excellent resource for meaningful dialogue in Bible study groups, book clubs and lunch and learn groups. I’m an Eagle, not a Field Chick will help you learn to soar as high as your wings will take you!